HRDC can start accepting house construction plans in phase 1. 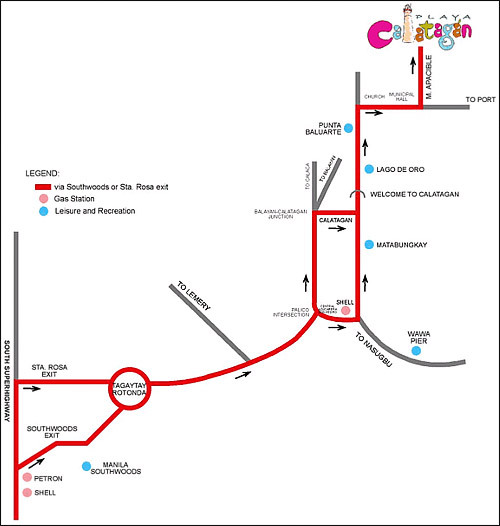 Phase 2 construction can only commence by 2nd quarter 2012. - Road concreting works have been completed. - Road works have been partially completed. - Balance of the Phase 2B to be completed by 3rd Quarter of 2011. - Partially completed road works. 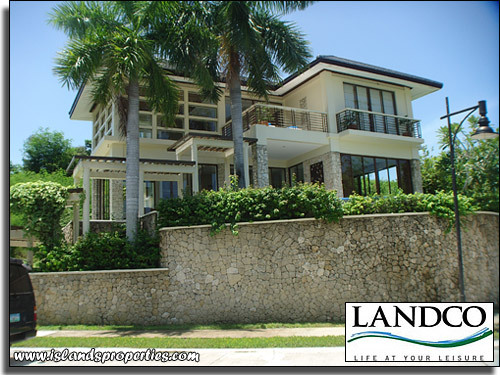 AMENITIES AND FACILITIES Features of the subdivision is a gated community with 24/7 security system, 1st class resort like amenities for the residents and their guests, an Asian - Tropical inspired themed architecture surrounded by the natural beauty of Calatagan. The subdivision will feature a combination of overhead and underground electrical distribution lines. It will have its own water supply system, sewer system and a storm drainage system. A lush garden landscape, where families can play and relax. 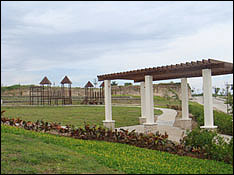 The amphitheater park may also be used as a venue for garden weddings, parties, and community get-togethers. 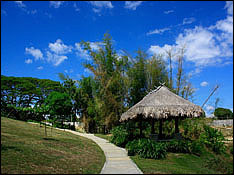 The bamboo park is one of the main parks of the Playa Calatagan subdivision, it is a nature preserve of bamboo plants and mango trees. This is the best path to enjoy a quiet jog under the shade of this natural canopy. A private amenity within the subdivision where residents can enjoy 180-degree view of the South China sea. 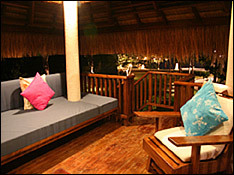 The clubhouse is situated at one of the highest point of the subdivision overlooking the Calatagan coastline. 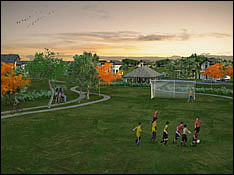 Another featured park of the Playa Calatagan Village is the Central park, where group of friends and families can enjoy a short soccer game in the field or relaxing activities like meditating, or enjoying a book, biking around the park, have a picnic by the lawn or a garden party at the park's gazebo. Clubhouse A private amenity by the beach where the residents can have a relaxing experience in their very own pool or garden cabana. The beach club house is open from 9:00 am - 5:00 pm from Tuesdays - Sundays. Batangas is a province of the Philippines located on the southwestern part of Luzon in the CALABARZON region. Its capital is Batangas City and it is bordered by the provinces of Cavite and Laguna to the north and Quezon to the east. Across the Verde Island Passages to the south is the island of Mindoro and to the west lies the South China Sea. Batangas is one of the most popular tourist destinations near Metro Manila. 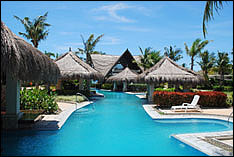 The province has many beaches and famous for excellent diving spots only a few hours away from Manila. Some of the more notable ones are Anilao in the Municipality of Mabini, Matabungkay in the Municipality of Lian, Punta Fuego in the Municipality of Nasugbu, the Municipality of Calatagan and Laiya in the Municipality of San Juan. Batangas is also where Taal Volcano, one of the Decade Volcanoes is located. The volcano has a water-filled crater and sits on an island in the center of Taal Lake, which geologists believe is an ancient caldera. The town of Taal is famous for its hand embroideries, knives, and sausages; and it reigns as one of the two most culturally preserved sites of the Spanish colonial era in the Philippines. Poetically, Batangas is often referred to by its ancient name Kumintang.